Today I’m sharing a very quick CAS card. To be honest I have changed my mind about 5 times this week what this post would be – I even contemplated starting the sewing project that’s been sitting on top of my sewing machine for over a fortnight – but I didn’t! Well, I say ‘didn’t’ but I have pinned some bits of fabric together to make a start! Anyway, that’s a work in progress so it may get finished some time in the not too distant future! Well, you know how it is, us all being crafty folks – you get something new whether it’s a stamp set, paper pad etc and you can’t wait to use it? That’s what happened to me this week. 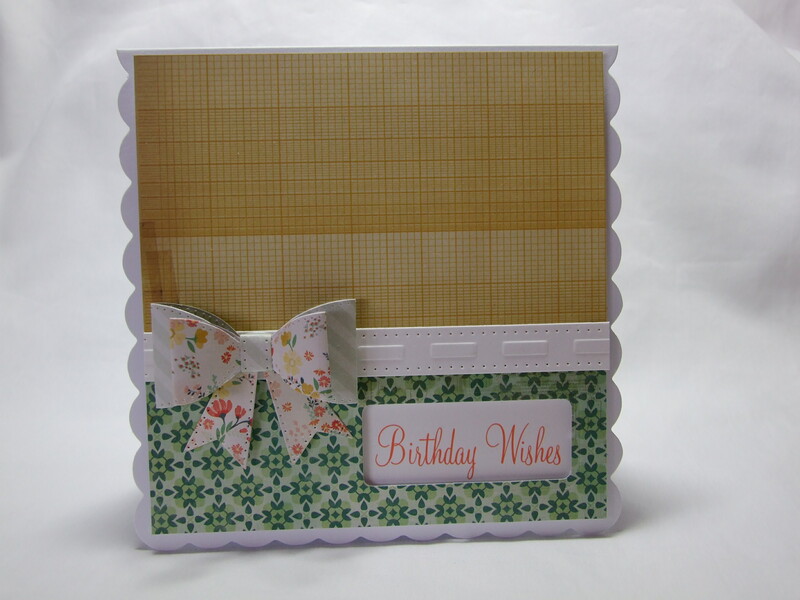 I treated myself to a Creative Expressions die set designed by Sue Wilson – one of the bow die sets. I have bow dies already but really liked this set because of the ‘tails’ going down and not across. Also, the detail around the outside edges of the bows – they are pierced with tiny holes and there is some nice embossing detail on them too. 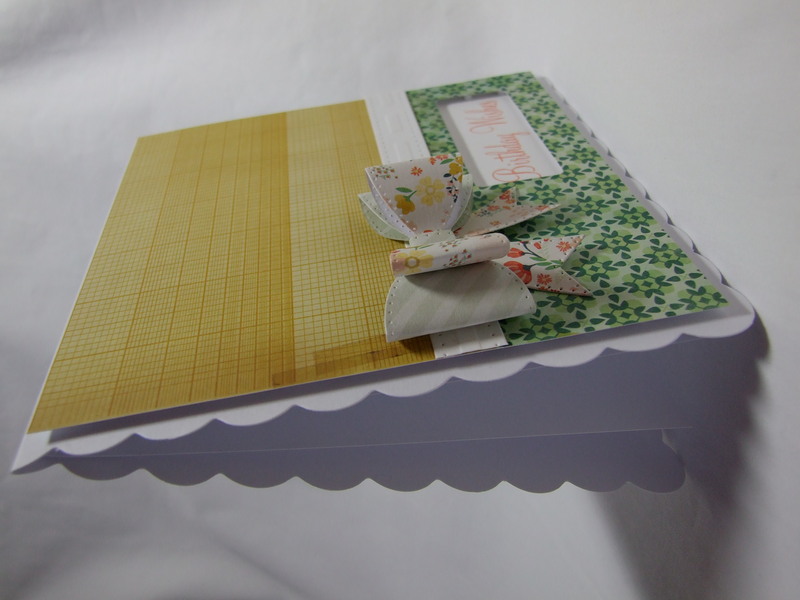 Included is a border die which carries on the pierced detail along the edge. I opened the pack up and thought I’d make a ‘quick’ bow to see how it looked. I thought it was so pretty, something to keep somewhere until I was ready to pop it on a card. But then I ended up getting the papers ready, so when I did get some time to make the card everything would be ready to go! You know what I’m going to say don’t you?! Yes, I ended up making the card there and then! I die- cut a rectangle shape out of the bottom piece of paper and popped the greeting underneath it as I had mounted the papers onto foam pads for some extra dimension. 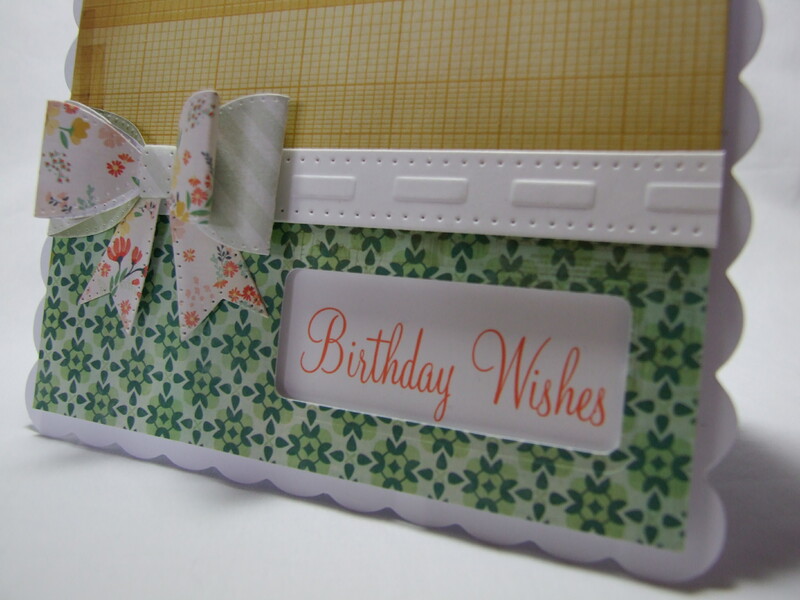 I have used Crate Paper ‘Close Knit’ papers and of course those lovely dies. It’s funny how a bow can ‘make’ a card without there being a lot else on it and of course the beauty with bow dies is that you will always have a bow to match the papers you are using and not have to worry about having the right coloured ribbon/twine for a project. Adorable card, Karen! Love the bow and sweet design! So sweet! It almost feels like it could be a fabric project with the lovely patterns! Love this sweet bow card! That new die is precious and I love the paper you used!!! So sweet!!!! !